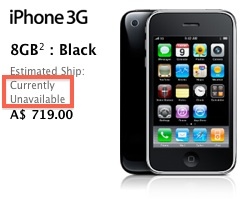 Reports are coming in that the iPhone 3G 8GB unit has stopped shipping to AT&T stores and some Apple online stores are listing the device as “currently unavailable”. There are also UK customers having a hard time getting their hands on the device from carrier O2 which doesn’t allow the iPhone 3G to be selected through their iPhone sales page. This would appear to be a move to phase the 3G out of production to make room for upcoming iPhone 4G/HD expected to be announced at Steve Job’s keynote address at WWDC on June 7th. 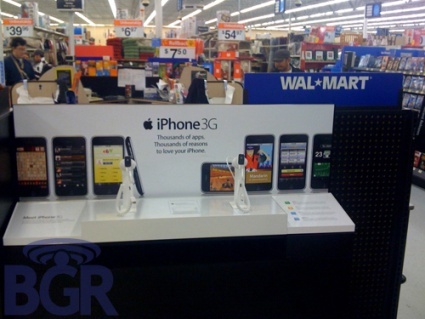 Adding even more weight to rumors that the new iPhone is coming this summer is Walmart announcing today that they will start offering the 16GB iPhone 3GS for $97 starting May 25th. This would make the 3GS a perfect price point for the base model in the iPhone line up; making room for the new iPhone this summer.